Today we feature a couple of bands that draw on The Replacements for inspiration. 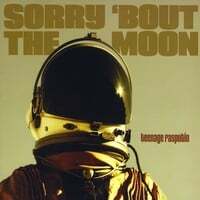 Teenage Rasputin-Sorry 'Bout the Moon. This Long Island band makes no secret about their Replacements love, having title their debut EP Here Comes Irregular, a pun of a 'Mats classic. They pick up where they left off with the full-length followup, gaining momentum right off the bat with "Wishin'", a melodic rocking number that features hard-driving verses and a sweet chorus. But like Westerberg, songwriter Jim Keegan is just at home with the slower numbers as "Annabella Milbanke" (with strings) and "Three Cheers" will attest. The mid-tempo rocker "Everybody Loves You" finds the band in song noir mode, and "Carpenter's Son" is the kind of catchy, straight-ahead rocker that will have you thinking these guys are from Minneapolis or Des Moines rather than Long Island. An impressive record for the genre. High on Stress-Living is a Dying Art. High on Stress (featured before on this site) comes by their 'Mats-loving cred a little more naturally, being from Minneapolis themselves. They differ a bit from Teenage Rasputin in that they have of a more Americana-influenced sound, perhaps a little more Hootenany than Pleased to Meet Me. They also know how to open an album, and "Bite Your Tongue" is a driving rocker that recalls Westerberg's solo "Knockin' on Mine". Other highlights include the cascading riffs and waltz-like melody of "Figure Eights", the gritty and compelling "Lost My Invitation", and the beguiling country-rock of "Head", which sounds like a lost Gram Parsons tune with its violin and female harmonies. Living is a Dying Art is High on Stress's third full-length, and they're building up quite an impressive body of work. High on Stress - These Days Are Gone from Here Comes The Flood on Vimeo. 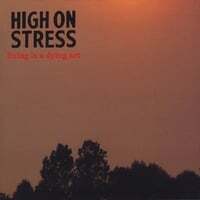 Kool Kat Musik's offering a 12-song bonus disc "Live at Sauce Mpls" with purchase of the new High On Stress CD. The Absolute Powerpop Top 10 EPs of 2011. The Absolute Powerpop Top 75 of 2011, #40-11. The Well Wishers give you a head start on 2012.